Herriman • A series of grins christened the Utah Royals’ new locker room as the players filed in. They opened the cupboards above their lockers and draped the dark blue robes — embroidered with their last names in gold — on over their coats. The Royals’ training session Monday was the cap on a weekend of firsts: first team dinner, first time in the locker room, and then finally the first time the squad stepped on the field together at the Zions Bank Real Academy. The weekend kicked off with a team dinner Thursday, reuniting former FC Kansas City players and introducing the new additions. The next day, the team met at Rio Tinto to take a tour of its multi-room locker room, which included a lounge and kitchen area, training room, exercise room, and more. Those little considerations included having six cars waiting for them in the parking lot before the team dinner, being put up in Dell Loy Hansen-owned apartments and having breakfast waiting for them before training Monday. In Harvey’s speech to the team after the unveiling of the new locker room, she encouraged her players to come to her if their needs weren’t being met or there was anything she and Hansen had missed. She said Monday that none had done so yet. “I think they just pinch themselves honestly everyday,” Harvey said. Saturday was a team-bonding day. The Royals tried their hands at Topgolf, with Nicole Barnhart coming out as the clear favorite, according to Harvey. Finally on Monday, NWSL preseason opened. The Royals began training with a “stupid game,” in Harvey’s words, that’s a “lighthearted bit of fun” meant to break the ice before launching into a series of soccer drills. 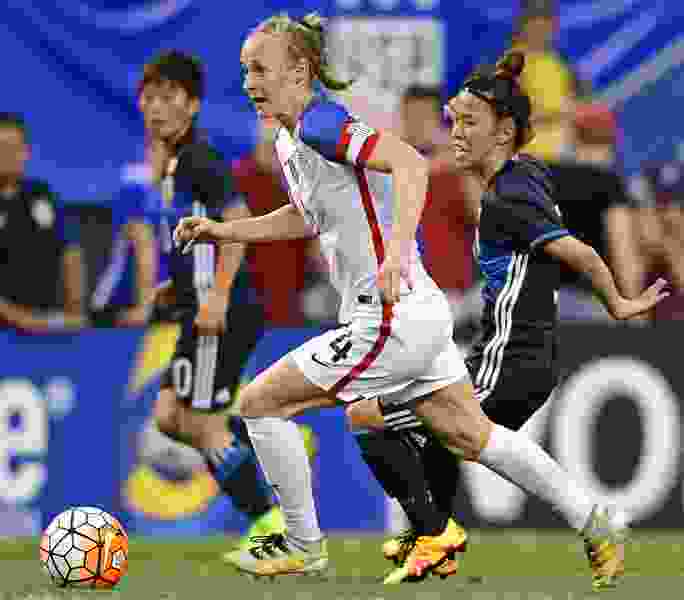 Sauerbrunn (stress reaction in her left foot) Amy Rodriguez (ACL surgery) Nicole Barnhard (ankle surgery) and Mandy Laddish (hip surgery) were unable to train in full. Rodriguez was able to ease into some drills and participate in shooting and passing.